We’re back with another TeamMeet article! We recently sat down with Rhonda Willoughby, Senior Food Technologist at The Culinary Food Group to find out a little more about how she got into the food industry, what her job involves and to see what exciting food trends are in store for 2018! 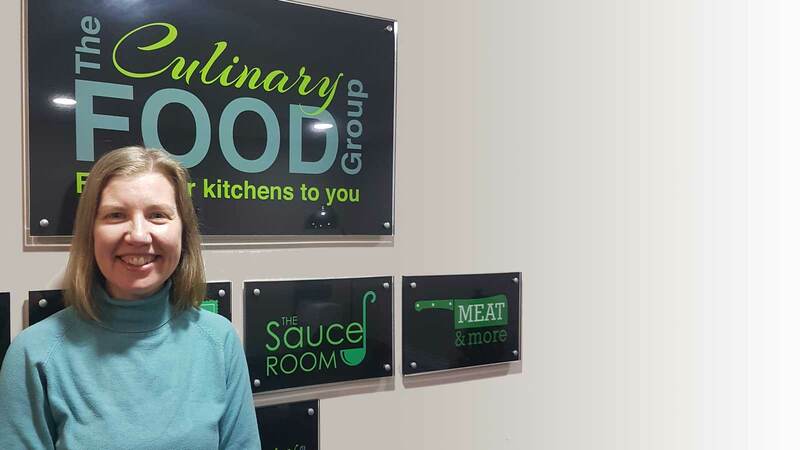 At The Culinary Food Group we strongly believe in investing in our staff as they form such a central part to our success and Rhonda has played a key role in this. We’re lucky to have a great team that work so hard to produce amazing products each and every day. Sure! I’m Rhonda Willoughby and I live in Naas with my husband and beautiful daughter. I’ve been with the Culinary Food Group as a Senior Development Technologist for 2 years working in the Meat & More business on ready to cook meals that include meat products and accompaniments. I’ve worked in the food industry for over 11 years now. Over the course of my career I’ve worked in a number of leading food manufacturing businesses in the roles of quality assurance and product development. I’ve worked on a wide variety of food products including Dairy, freeze dried coffee, pork, cured meats, meat pastry products and frozen pizzas. This experience has been invaluable to my current role. I also have taught Home Economics in secondary schools for 5 years and adult education for 2 years. Being able to pass on my knowledge to others is extremely rewarding and something that I’ve really enjoyed. How did you find your way into the food manufacturing industry? My grandparents lived on a farm and my love and passion for food was nurtured from childhood. My earliest food memories are from baking with my granny using the fresh ingredients from the farm and her garden. From an early age I learned about the importance of good ingredients from the ground up, the seasonality of ingredients, how not to waste food and also about animal welfare. l loved both Home Economics and science at school and studied Food Technology Management in college bridging my love of food and science and my fascination with how food is produced on a large scale. From their I began working in the industry and have never looked back – I love it! What does your role involve on a day to day basis? The role is really varied and very exciting. It involves working with and exceptionally skilled team of chefs to develop new and exciting products that can be produced in our state of the art production facilities. I take the culinary recipe from the chefs and trial them using the factory equipment. Then as required I amend the recipe appropriately so that it is feasible to be produced on a larger scale. I work very closely with production and quality on the quality parameters for each trial and new product and agree the Quality Attribute Sheet QAS. I also manage the critical path meetings for all new product launches into the factory. We’re lucky to have the Culinary Innovation Centre at our fingertips and it’s a fantastic environment to collaborate in with the chefs. There are always challenges to be met in the role, but they provide the platform to learn and grow and give valuable experience. My primary challenge is to translate the chef designed product directly into the factory to be the closest match possible and with repeatability and consistency in every product. There are challenges of commissioning new equipment and amending methods of preparation. Working with retailers on own label products, for example ready to cook meal solutions, provides the challenge to develop the best possible product for the best price and value. The challenge to be competitive in terms of price is particularly difficult as good quality ingredients are increasing in price while the supermarkets wish to keep the same price or possibly even a reduced price. What exiting food trends do you expect in 2018? The area of health and wellness is growing in popularity as more consumers are becoming healthy eaters. This is definitely an exciting trend that Meat & More well placed to take advantage of. We’re finding that more people are looking at meal solutions that are high in lean protein and low in carbohydrate. Gluten free is another growth area and many of our products are free from gluten but still packed with flavour which sets them apart from lots of other food manufacturers. We’re always on the lookout for new flavour trends to satisfy the more discerning palate. Whether that’s over in the home of the BBQ in the US or on the Streets of London we always keep ahead of the game!!! What do you like to get up to in your spare time…. In my spare time I love to cook for friends and family and use them as my guinea pigs for new recipes!! I am currently promoting and selling a charity cookbook that I wrote called “Food for the Sole”. The aim was to raise €50,000 to enable 1,000 foot operations for those suffering from leprosy in India and we achieved that goal in 1 year which was fantastic. I was fortunate travel to India with a group earlier in the year to go earlier in the year and meet the people with leprosy and the staff who care for them. It was a wonderful opportunity and I’m continuing to promote the work of charity through cookery demonstrations and talks. I also do some motivational speaking to women’s groups which include the Irish Countrywoman’s Assocation and Mountjoy Women’s prison. I also love to read and am a member of a book club and I enjoy walking and going to the cinema with my family. We hope you enjoyed learning a little bit about Rhonda and what she gets up at The Culinary Food Group. If you would like more information about any of our products, please download a brochure or fell free to contact us. We look forward to hearing from you!